Around LA: HousePartyLA X WileOutMusic Presents This Is NOT a House Party! [4.1.16] – Be Fearless. Be Flagrant. No seriously. It’s really NOT a House Party. 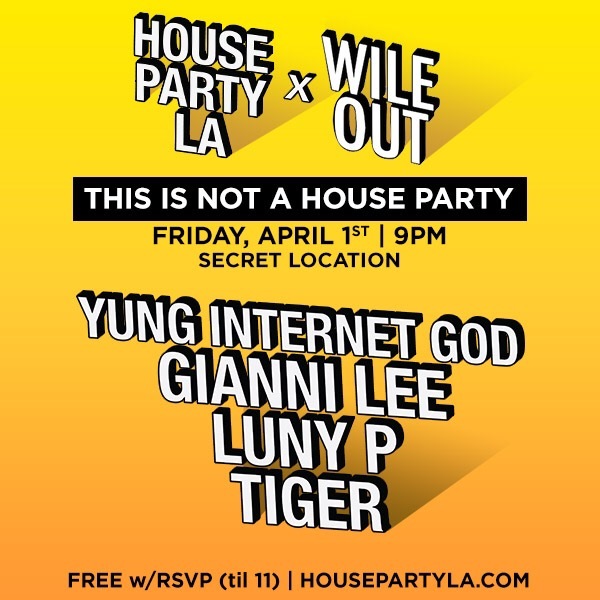 This FriYAY 4.1.16 House Party LA and Wile Out Music team up to bring you a house party vibe NOT at an actual house. Imagine that! #AroundBuffaLowe: @adrivthegogetta Launches the Go Getta App!